PPSC Civil Judge Syllabus 2019 PDF issued. 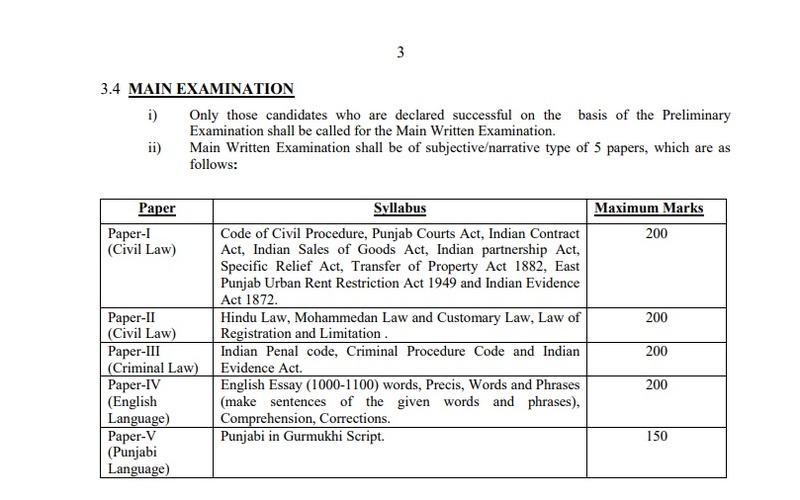 Download Punjab Public Service Commission preliminary/main examination syllabus and examination pattern pdf for the post of Civil Judge from ppsc.gov.in check paper wise syllbus, examination duration. Main Examination Consists 5 papers ( Civil Law, Criminal Law, English Language, Punjabi Language).